February 14, 2018 – Sharing alarm voiced by other scientists, leaders of the American Astronomical Society (AAS) are expressing grave concern over the administration’s proposed cuts to NASA’s astrophysics budget and the abrupt cancellation of the Wide Field Infrared Survey Telescope (WFIRST). Indeed, after Astro2010, scientific and technological advancements enabled an enhanced WFIRST that would be 100 times more powerful than Hubble. Follow-on National Academies’ reports in 2013 and 2016 reaffirmed the significant scientific merit of the enhanced WFIRST mission, and their recommendations for careful monitoring of potential cost and schedule drivers led to NASA’s commissioning of the WFIRST Independent External Technical / Management / Budget Review (WIETR) last fall. NASA’s SMD Associate Administrator, Thomas Zurbuchen, fully agreed with the WIETR recommendations to match mission cost with appropriate resources as part of a balanced astrophysics portfolio. 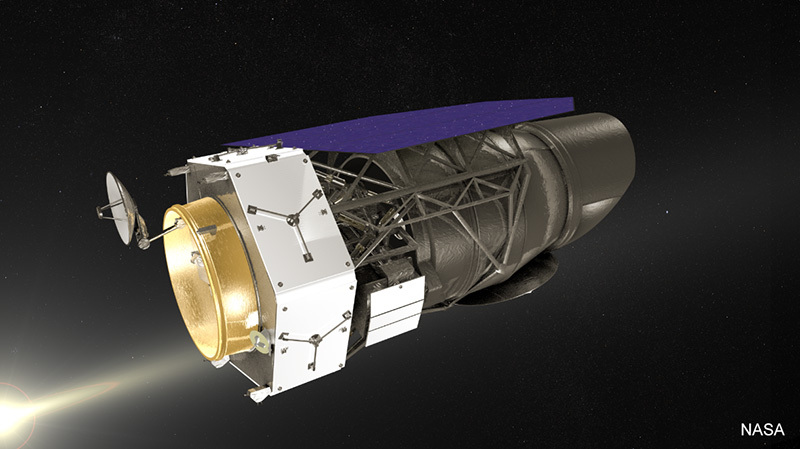 After undergoing a redesign over the last several months, WFIRST would once again fit both within the February 2016 budget approved by NASA at the onset of its mission formulation phase and within the notional five-year budget profile the administration requested for NASA astrophysics in its FY 2018 budget less than one year ago. Put another way, the lifecycle cost for WFIRST is the same now as it was two years ago and has been described as both reasonable and credible by numerous review panels. Marvel worries that the administration’s proposal to scale back federal investment in the nation’s exploration of the universe and terminate WFIRST risks undermining future decadal surveys and other community-based priority-setting processes. The AAS will defend the important role of the decadal surveys in helping set federal spending priorities, to explain the scientific promise of the top-ranked WFIRST mission, and to share our excitement for the field of astrophysics, which has never been more ripe for discovery from the search for life elsewhere in the universe to understanding where we came from and where we’re going. “We look forward to working with Congress to restore funding for WFIRST and for NASA astrophysics overall,” Donahue said.